Pink Talking Fish is a Hybrid Tribute Fusion Act that takes the music from three of the world's most beloved bands and creates a special treat for fans of the music. Pink Floyd, The Talking Heads and Phish are all more than just bands... they are Phenomenons. Their creations have artistically inspired people and their mind-blowing live performances have brought people together to form a special sense of community around the love for their favorite band. Although the music from each act is different, Pink Talking Fish has discovered that fusing the material together creates an amazing story. The epic emotion of Pink Floyd.... The funky, danceable layerings of The Talking Heads.... The multitude of styles, unique compositional structures and pure fun of Phish.... to merge these three into one gives music lovers a special experience. 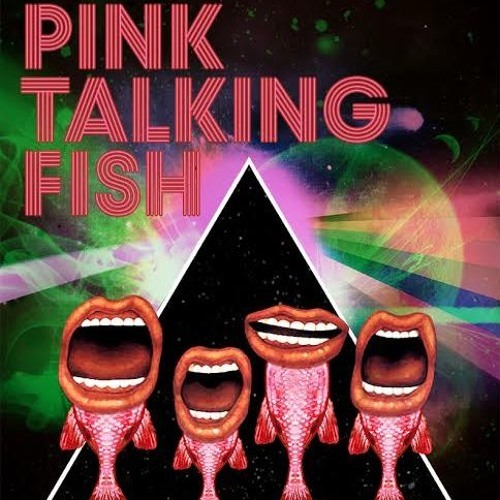 Pink Talking Fish features Eric Gould on bass, Richard James on keyboards, Zack Burwick on drums and Dave Brunyak on guitar. This is a band created by musicians who love the music of these acts. It's purpose is to heighten people's passion for this music by creating something fresh and exciting for fans. Discovering connections is part of the fun: Pink Floyd's "On The Run" seamlessly fitting in the middle of the composition of Phish's "You Enjoy Myself". Perfectly placing Phish's "Sand" into the groove of The Talking Head's "Slippery People". Segued collections from all three acts such as Run Like Hell > Making Flippy Floppy > Piper > Run Like Hell or Mike's Song > Have A Cigar > Once In A Lifetime > Weekapaug Groove. These ideas are the spirit behind Pink Talking Fish. The story is ever evolving. The experience is always exciting. Come join Pink Talking Fish for the ultimate fusion tribute and celebrate the love of this music in unique fashion.